The largest selection of Tactile Walking Surface Indicator (TWSI) products in Canada that meet the most current Canadian Accessibility Codes. 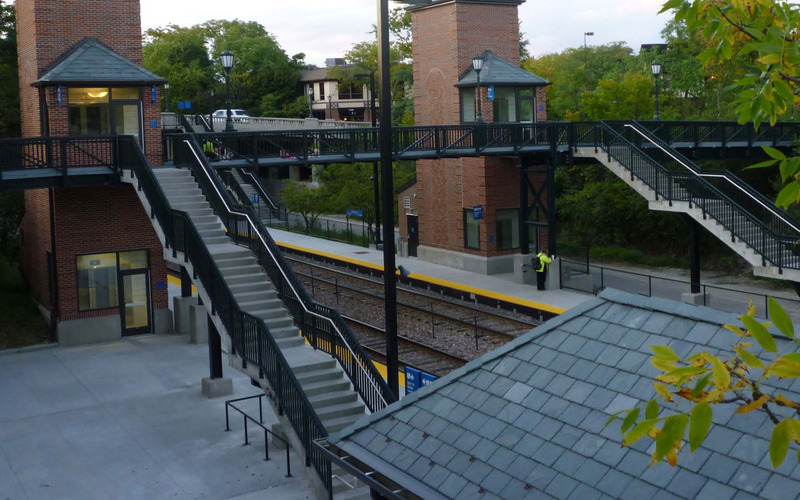 Armor Deck Transit Infrastructure Bridges and Walkway Systems consistently outperform and raise the bar for all other traditional infrastructure systems. 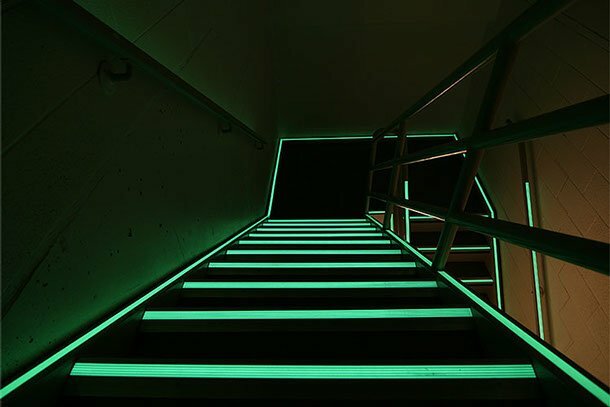 Glow in the dark products that utilize photoluminescence technology to bring a higher level of safety and stability to buildings, stairwells, and pathways. Tripstop Multi-award winning safety products that are designed to extend the life and increase safety of concrete paths. 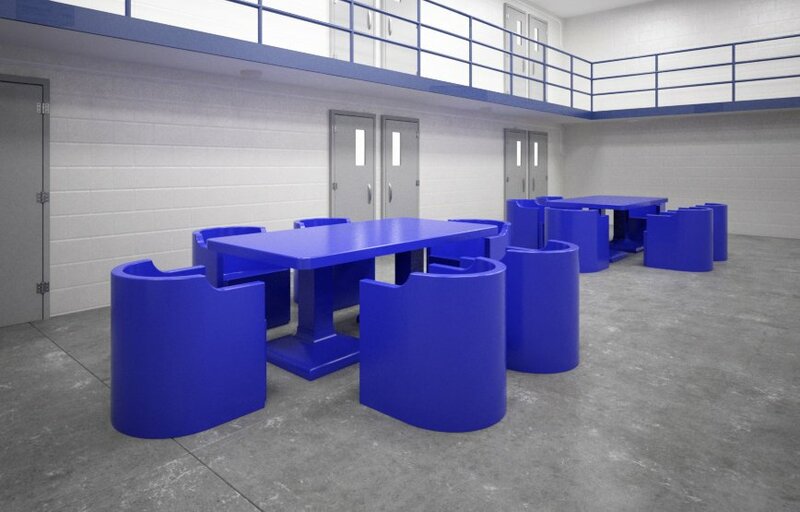 Max-Secure Security Systems has been providing safe, secure, functional, and attractive furniture for correctional and institutional facilities for more than 30 years. Kinesik Engineered Products is an innovator of risk management and life safety products. Our mission is to create a safer environment for people of all abilities while reducing liability exposure to our customers. Our core focus of upgrading accessibility routes and infrastructures projects to reduce the potential for trips and falls has been the basis of our success. With millions of square feet sold annually, Kinesik has been servicing and supplying the North American market for over 40 years. There’s no major municipality or Transit Authority we haven’t had the pleasure in working with. Kinesik Engineered Products manufactures their products in a state of the art, expansive 400,000 sq ft. facility that incorporates 15 compression molding presses with capabilities from 50 to 3,000 tons and parts 20ft. + in length and custom fabrication. Kinesik also offers additional manufacturing capabilities, such as plastic injection molding up to 700 tons, high/low volume production runs, 3D rapid prototyping, mold design and pad printing. 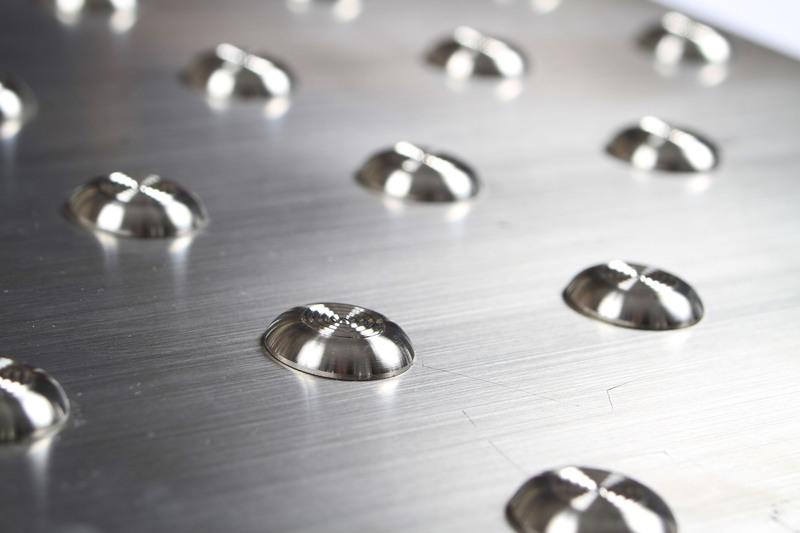 Kinesik now offers several different tactile walking surface indicators ranging from cast iron and stainless steel to different engineered polymers, and photoluminescent (PLM) exit signs, stair nosing’s and exit path marking that meet all current provincial standards. All our products meet the most rigorous test requirements and comply with AODA, CSA, ISO, FADS and IFC standards to ensure you achieve the highest compliance for your projects. We look forward to hearing from you. Let us know how our customer service and sales staff can help you with your projects. Kinesik Engineered Products provides a full scope of services related to the lifetime of your project. Not only do we provide a multitude of innovative products to meet your individual needs, we offer national sales support and in person project guidance and installation services from our skilled technical professionals. Kinesik Engineered Products Incorporated provides a full scope of services related to the lifetime of your project. Not only ca we provide a multitude of innovative products to meet your individual needs, but we operate from coast to coast, offering both sales support as well as in person project guidance and installation services from our skilled professionals.